James Song made the biggest move among the Top 10, picking up 38 spots in the world rankings after finishing sixth at the Sahalee Players Championship. Since joining the Top 10, Song has gained 208 places over the past six weeks in the world rankings. Henry Lee gained 24 places in the world rankings after finishing 34th at the Sahalee Players Championship. That helped propel him up on spot to No. 9 in the Canadian rankings. Just outside the Top 10, Lawren Rowe gained 50 places in the world rankings after finishing eighth at the Sahalee Players Championship. Biggest move: Ilirian Zalli gained 931 spots in the world rankings after winning the British Columbia Junior Championship, an even he finished runner-up at a year ago. 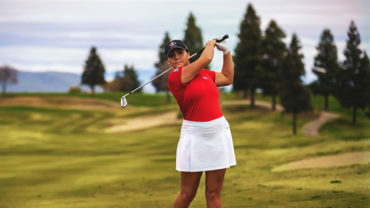 Michelle Ruiz made the biggest move among the Top 10, picking up 22 spots in the world rankings after finishing runner-up at the Investors Group Ontario Women’s Amateur. Golf Canada Development Squad member and the No. 11 ranked amateur in Canada, Ellie Szeryk, picked up 77 spots in the world rankings after her wire-to-wire victory at the event. It’s the first title of the year her and she joins her sister, world No. 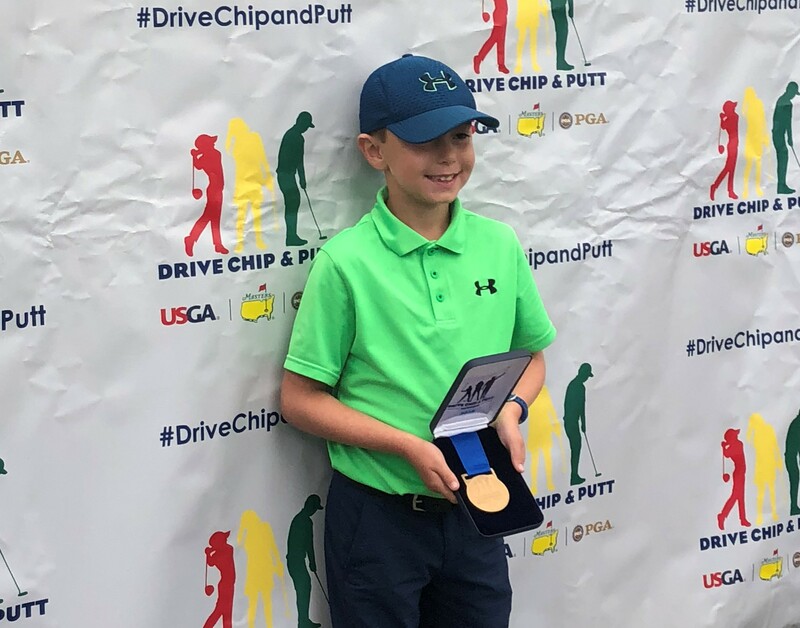 16 Maddie Szeryk, who won the title back in 2015..
Mackenzie Hughes continued his upward momentum in the world rankings, picking up 14 places after finishing in a tie for 13th at the PGA’s A Military Tribute at The Greenbrier. The result was worth 3.00 world ranking points, his second consecutive points-paying finish. He also climbed two places up to No. 3 in the Canadian rankings. Former Canadian No. 1 David Hearn made the biggest gain among the Top 10, climbing 16 spots after finishing in a tie for 30th at the PGA’s A Military Tribute at The Greenbrier. That was worth 1.40 world ranking points – only his second points-paying finish this year. Corey Conners jumped eight spots in the world rankings after finishing in a tie for 30th at the PGA’s A Military Tribute at The Greenbrier. The result was worth 1.40 world ranking points and he moved up to the No. 7 ranking in Canada. Outside the Top 10, Sukwoan Ko of Coquitlam, B.C. makes his Canadian rankings debut at No. 11 after a jump of 1,315 spots following his first career victory in a playoff at the Korean Tour’s Jeonbuk Open. The result was worth 9.00 world ranking points and the victory came in only his ninth professional start on the start. Michael Gligic gained 314 spots in the world rankings and moved up to No. 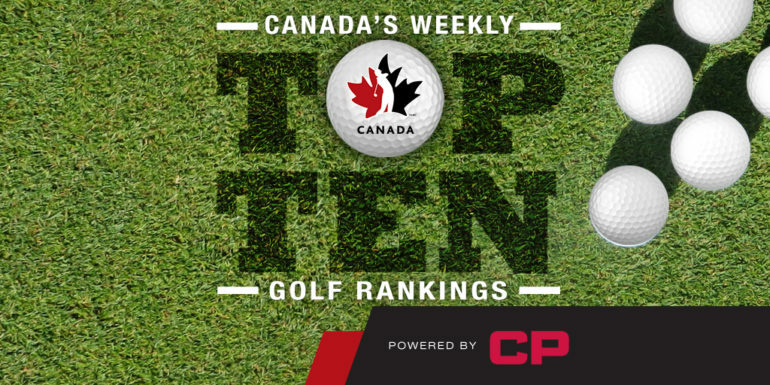 15 in the Canadian rankings after a runner-up finish at the Mackenzie Tour-PGA Tour Canada’s Windsor Championship. The result was good for 3.00 world ranking points and marked the third runner-up finish of his career. Taylor Pendrith rejoins the Canadian rankings with a gain of 612 spots to move up to No. 22 after finishing in a tie for fourth at the Mackenzie Tour-PGA Tour Canada’s Windsor Championship. The result was his first top 10 finish of the season for the Golf Canada Young Pro squad member and was worth 1.62 world ranking points. Brittany Marchand made the biggest move among the Top 10, picking up 40 places in the world ranking after finishing tied for seventh at the Thornberry Creek LPGA Classic. The result was worth 5.45 world ranking points for the Golf Canada Young Pro squad member, who also reclaimed the No. 3 ranking in Canada. It’s her second top 10 finish on the LPGA Tour this year and the 11th time in 12 starts that she has managed to pick up world ranking points. Top ranked Brooke Henderson maintained her No. 16 world ranking after finishing in a tie for 23rd at the Thornberry Creek LPGA Classic. The result was worth 2.12 world ranking points and marked her seventh points-paying finish in the last eight tournaments.